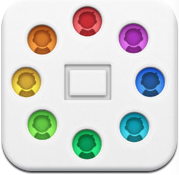 Drawp - All about apps in YOUR classroom! To all of the elementary and middle school teachers, this app is perfect for students to create and share unique content. Within the app, students are able to draw their thoughts or solutions and send them to a designated email, SMS, and other options. The main benefit of this app is having students use it as a whiteboard and sending it to the teacher for proof of understanding. However, the fun does not end there. If you are in a 1:1 setting, students can also input their parents' email and phone number, sharing their creations with parents on a regular basis. On top of the white template, there is a full gallery of backgrounds available for students to practice their shapes, letters, numbers, coloring-book-style pictures, and more. At the middle school and high school level, students can use the app as a whiteboard to send their products to the instructor via SMS or email, making it easier for instructors to collect the work being completed for the day. "Oh but wait, THAT'S NOT ALL!!!!" Yes, ladies and gentlemen, this free app also offers audio and photo integration. Students can take a picture of their work, annotate over it, and record their thought process as a way to enrich the learning and assessment process. This is a feature that can be used K-12 in almost any subject and setting. The big feature is the sharing, but the fact that Drawp is so young and they are more than willing to listen to the education community, this is a must-have app and a company that you should keep an eye on! For more information or ideas on implementing Drawp into your classroom, follow us or email us!